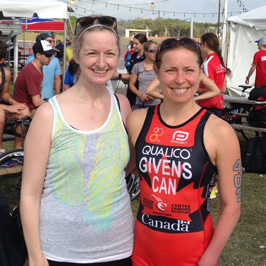 Albertan-born Chantal Givens made her Paralympic debut in Rio de Janeiro as a member of Canada’s Paratriathlon Team. 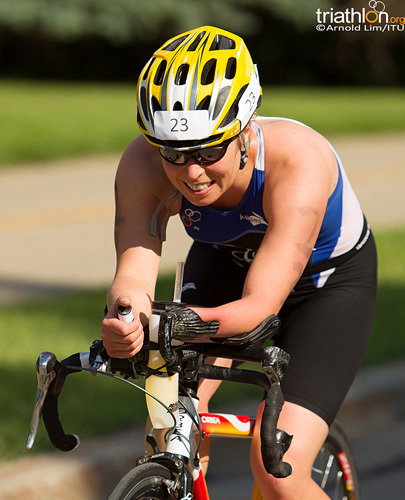 Chantal is a three-time Canadian Paratriathlon champion who began her career in sport as a springboard diver in her early teens. In 2001, Chantal volunteered at the Triathlon World Championships in Edmonton, igniting her interest in the sport. Shortly after she registered for a long distance race – even before owning her first bike. 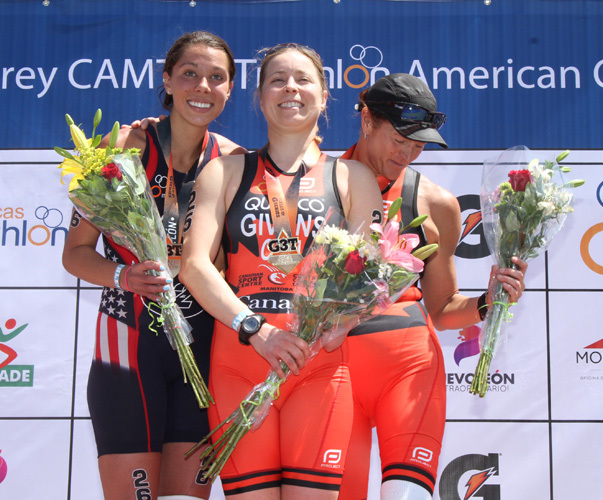 Fast-forward to 2015 and Chantal is now a three-time Canadian Paratriathlon Champion (2012, 2013, 2014) and has placed fourth at the World Championships twice (2013, 2014). 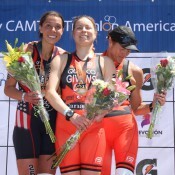 Other achievements include qualifying for the 2012 Boston Marathon, qualifying and competing in the 2008 triathlon age-group (able-bodied) World Championships, qualifying and competing in the 2003 and 2004 duathlon age-group (able-bodied) World Championships, being named the 2004 triathlon female athlete with a disability (AWAD) World Champion and is a 10-year national level competitive springboard diver (1992-2002). Outside of sport, Chantal is a physical education teacher, who works to share her passion for sport and act as an example for her community. Chantal’s determination and dedication are the driving force behind her success. With the support of her main sponsor Qualico and donations from the community, Chantal is more than halfway to her goal of raising $15,000. In order to stay focused on her training and qualification for Rio, she had reduced her professional commitments by 70 per cent and will only be teaching one class per semester in the Louis Riel School Division this school year. 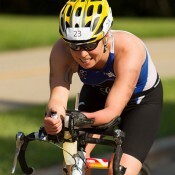 Chantal achieved her dream of participating in a Paralympics, finishing eighth in her Paralympic debut with a time of 1:19:13 in the PT4 division. 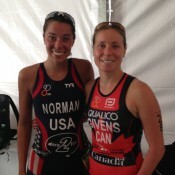 Chantal and her Canadian teammates were the first ever Canadian Paratriathlon team to attend the Olympic Games. The inaugural paratriathlon event took place on a tough course in Copacabana Beach in Rio. Results – Chantal finished eighth in the women’s PT4 division. STEINBACH ONLINE (Jan 12) Canada’s Para-triathlete of the year for 2016 will be in Steinbach this Sunday. 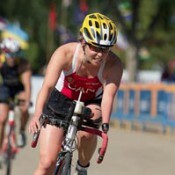 Triathlon Manitoba is organizing a camp and Chantal Givens of Winnipeg will be there to train with athletes. CANADIAN JEWISH NEWS (Oct 11) Leon Fainstein was one among many Canadians this past summer who were following the Olympic and Paralympic Games in Rio De Janeiro. CBC Manitoba (Sept 23) Some of Manitoba’s homegrown Olympians and Paralympians were honoured in Winnipeg Friday night for their feats abroad during the Rio Summer Games.